Handcrafted Buckle and Belt by Waitz Design. 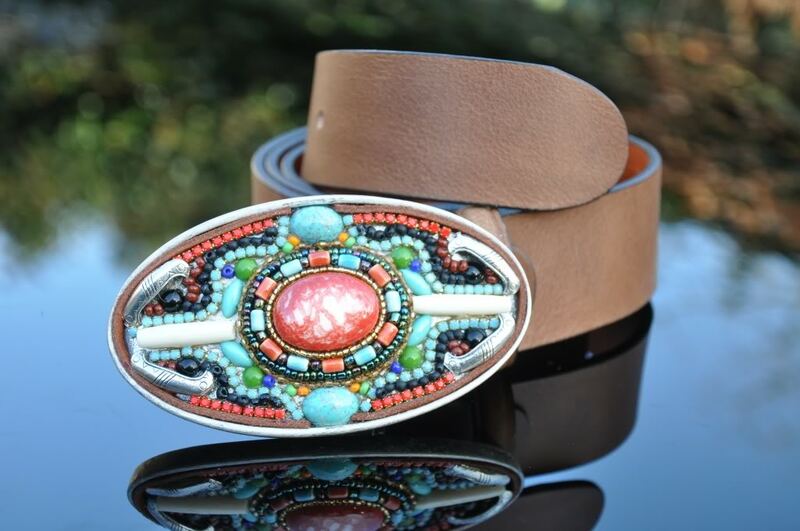 Buckle decorated with Beads, Turquoise, and Leather. 1.6" wide. All belts are made of superior Spanish or Italian calf leather.